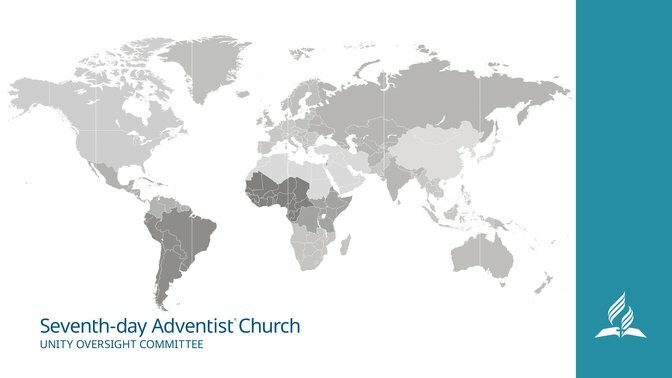 The Seventh-day Adventist Church’s General Conference Administrative Committee voted on Tuesday, July 17, a document recommended by the Unity Oversight Committee. The recommendations came after nine months of listening and consultation with church entities around the world and outlines a process of addressing entities not in compliance with the actions of a General Conference (GC) Session, the GC Executive Committee, or working policy. The outlined process includes setting up a number of compliance review committees that will address specific issues of non-compliance and will make recommendations to the General Conference Administrative Committee. The Unity Oversight Committee was informed by quantitative and qualitative data gathered from church leaders worldwide as well as dialogues with the thirteen world divisions, General Conference Leadership Council, and GC institutions. Comments from Executive Committee members during previous Annual Councils were also considered. The Office of Archives, Statistics, and Research was tasked with developing a questionnaire and administering a survey of all union and division presidents worldwide. All those surveyed submitted a response, even though in some cases they chose not to answer all questions. The results of the survey were published in a previous article, and showed that a majority of the world Church’s union presidents favored some kind of process for dealing with non-compliance. Following standard process and protocol, the document voted today by GC ADCOM will also be discussed by the General Conference and Division Officers Committee. It will then be sent to the GC Executive Committee at its Annual Council this October for consideration. This article originally appeared on the Adventist News Network. Image courtesy of ANN.